Saidu-Shakiru Adeyemi, the boyfriend of Miss Khadijat Oluboyo, the slain daughter of Lasisi Oluboyo, former deputy governor of Ondo State, has denied involvement in her death. 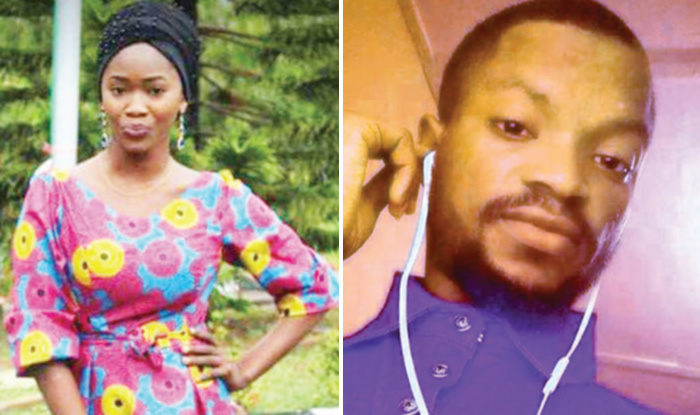 DAILY POST had reported that Oluboyo, the 25-year-old final year student of Adekunle Ajasin University, Akungba Akoko, was found dead at the home of her boyfriend in Akure. Khadijat was found dead in Alao’s residence on Sunday. Adeyemi explained that he had dated Oluboyo for four years before they parted ways in 2015 and that they only reconciled after the last Ramadan celebration. He explained further that the girl later travelled to Lagos on Friday to buy some wrist watches but she forgot to drop her project with him. “Later when they came in, we exchanged greetings and I left them in the room. But after 30 minutes, one of the boys called me in and I discovered he held a small gun in his hand while the other boy was on her, Unclad. “And I heard Khadijat saying ‘I will not tell anybody’. The boy strangled her to death and threatened me not to shout or else they would kill me. Mr Femi Joseph, the Police Public Relations Officer (PPRO) of the command who paraded Adeyemi with other suspects, said he would soon be charged to court after completion of the investigation.